Hindus in 10,000 years have never colonized any country. They have never looted, plundered or enslaved any country economically. They have never condemned other religions as false religions and converted them to Hinduism. They have never destroyed temples of other religions. They have never called people from other religions as Sinners, heathens or kafirs and condemned them to eternal hell. They have never crucified or burnt alive anyone whose ideas have been different from their own and yet Bharat has influenced the eastern countries of Japan, Korea, China, Taiwan, Vietnam, Cambodia, Laos, Thailand, Malaysia, Singapore, Indonesia, Burma and Sri Lanka, Tibet, Nepal, and Bhutan, not to mention Pakistan, Afghanistan, and Bangla Desh for the last two millennium years. This is one of the miracles of human history. Hu Shih, the Chinese ambassador to America has said, India conquered China for 1,000 years without sending a single soldier. This was mainly due to the contributions of saints like Bodhi Dharma of Kanchipuram in the 6th century and Chinese traveler and scholar Huang Tsuang who visited many parts of Bharat in the 7th century. 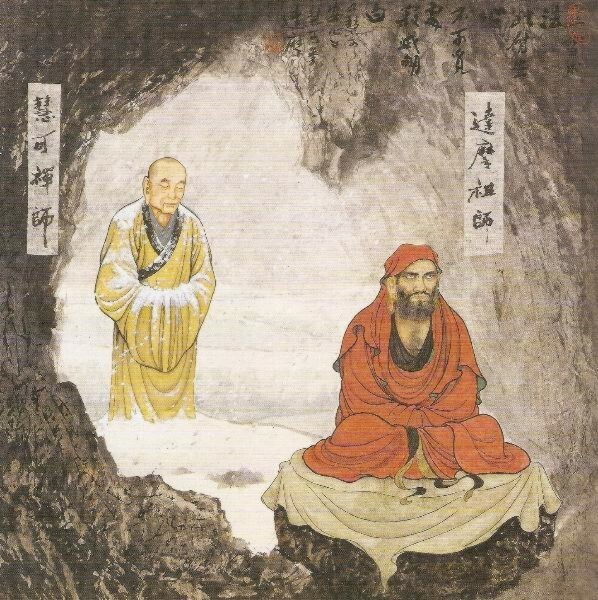 Chinese forms of exercises, martial arts, and meditative Chan or Zen Buddhism owe their origin to Bodhi Dharma. The Chinese version of Ramayana is currently shown on their TV channels and as usual Hanuman, the monkey God is the most alluring character in the serial. The history of Japan is no different. In 736 AD a Hindu Brahmin Bharadwaj once again, from Kanchipuram reached Japan. He was popular in Japan as “Baramon”. He taught them Buddhism, Ramayana, Sanskrit, Dharma, Hindu Philosophy, and gave them culture, art, and music in the then capital of Japan. Today everything with which Japanese rightly feel proud of as their ancient heritage and culture was given to them by this monk. The Japanese have three scripts one of them based on Tamil and Sanskrit was given by “Baramon Bharadwaj”. This is enough to show, how Buddhism which is the dynamic form of Hinduism, has influenced one-third of the entire world. The first chapter of Kampuchea or Cambodia starts with a Brahmin King Kaundinya arriving on their shores with gifts of Indian dresses, ornaments, and eatables. The ruins of Wat Angkor and Prambanan temple in Central Java stand testimony to the great Hindu influence in the last fifteen centuries. Most of these countries were ruled by Hindu empires. Hinduism in South East Asia influenced the Champa kingdom in Vietnam from 192 A.D through 1697 A.D; influenced the Srivijayan Kingdom in Sumatra from 200 AD to 1400 A.D; the Singhasari kingdom and the Majapahit Empire in Java, Bali and a number of the islands of the Philippines archipelago. The civilization of Bharat influenced the languages, scripts, calendars and artistic and culinary aspects of these people. 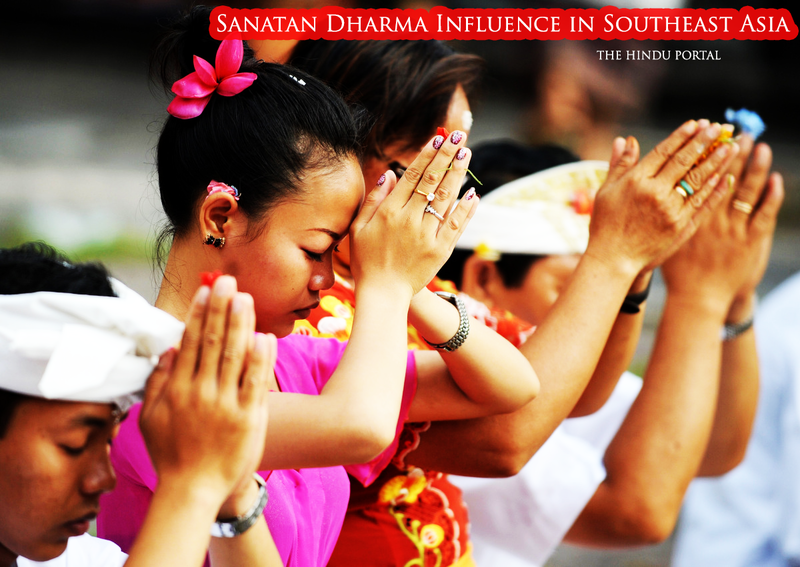 Ramayana and Hindu culture have been the source of inspiration throughout the history of South East Asian countries. In most of South East Asian countries, people do not give anything with their left hands, they do not walk between two persons, passengers will stand up and offer their seats to saffron-clad monks, people feed the monks with freshly cooked food at early hours of the dawn. Cities bear names like Ayodhya, Lavapuri, Kanchanaburi, Chandrapuri, Vishnulok, Singapore the city of lions, Jayakarta, the city of victory (Capitol of Indonesia), Bandar Sri Bhagwan (capital of Brunei) and so on. Laos is named after Lav, the son of Ram and Burma after Lord Brahma, the God of Creation. A leading Buddhist monk in Thailand told his followers that all aspects of Thai Culture beginning from the birth of a child to his death are a gift from Mother Bharat. Oriental Hotel in Bangkok is for many years, the award-winning best hotel in the world. 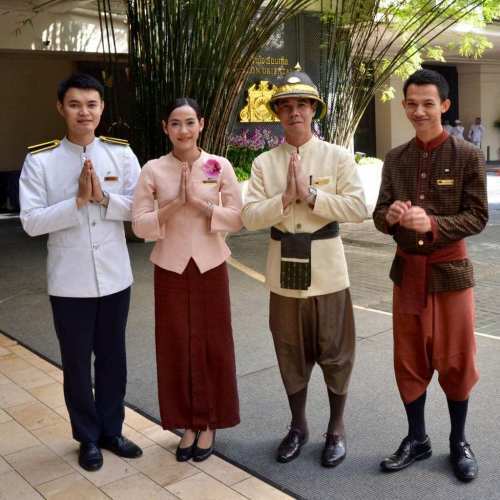 The hotel staff, very proudly wear, the Indian attire of dhoti and kurta Indian-like. The kings of Thailand are called Rama and the present king is Bhumipal Atulya Tej, Rama IX. Both he and Princess Mahachakri compose poems in Sanskrit. Ramakeerti, the Thai Ramayana composed in the 17th century is taught in schools. World’s largest Ramayana painting can be seen on the walls of Emerald Buddha temple in Bangkok Royal Palace. Thai boxing which has now entered the Olympics is based on the fighting skills of Hanuman, Angad, Vali, Sugreev as the Thais claim. Many streets and prestigious buildings in Thailand, Cambodia, Indonesia, Malaysia bear Sanskrit names. All rivers are reverently addressed as Mae which is Maa or Mother. Thus the river flowing through Bangkok, the capital of Thailand is Mae Chaophraya. The river that flows from the Himalayas through Burma, China, Laos, Thailand, and Cambodia is called Maa Ganga pronounced incorrectly by the French rulers as Mae Kong. In spite of 20 military coups and another 20 democratically elected governments in the past 70 years, there have been no death punishments, blood spilling or political vendettas. For all these amazing cultural traits they thank Mother India. The country itself is called Siam Desh in the local language, which means the land of Lord Vishnu. In Malaysia, there are nine sultans. One of them is installed as the Yang di-Pertuan Agong or President of the country. He takes oath office in the name of “URUSAN SERI PADUKA DHULI BEGINDA” which means by the orders of the Dust of Lord Ram’s Paduka. Like us Indians, they too consider the dust of the Paduka to be holier than the Paduka itself. The Malay version of Ramayan, “Hikayat Seri Rama” composed in the 13th century is among the earliest Malay literature and is studied in the universities as a piece of classical literature. Ramayana shadow plays and dance drama is still a craze in north and eastern provinces. The Malay language too has many words of Sanskrit and Tamil origin. Sanskrit words like bhakti, Shakti, sodara, sodari, kadai, guru, siswa, Surya, swami, bhasa, jiva, vamsa, varta etc are in common usage. Prestigious newly constructed buildings bear Sanskrit names like Chhaya Surya, Wishwa Putra, Anantara and Vishwa Duta. The Sultan is entitled as Raja Parameswara and the queen is addressed as Raja Parameswari. 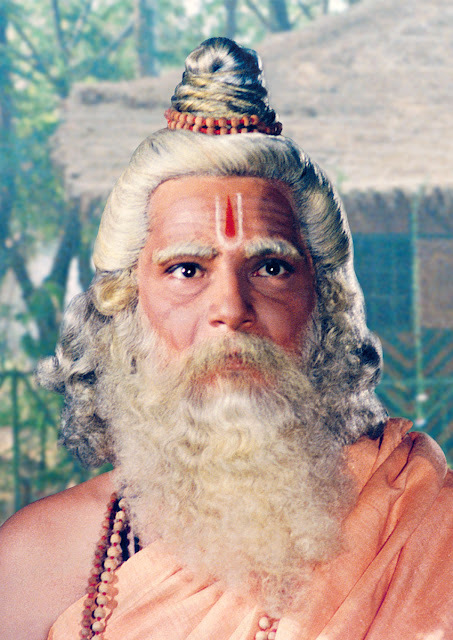 Their second son is addressed with respect as Lakshmana. “Vanita Pushpavalli” is the name of the organization floated by the wives of cabinet ministers and they do social work for the poor and the needy. The western dress code has been replaced with Malay dress code during University graduation ceremonies. The dress code includes Hindu items like kurta, angavastra around the waist and a black cap. Ramli Ibrahim and Chandra Bhanu have accomplished Bharat Natyam dancers of Malay descent. They perform before distinguished audiences in five-star hotels and International conferences. In spite of threats from their Muslim Malay brothers, Ramli and Chandra perform pujas for Lord Natraj and prostrate before the idol in full view of the audience. 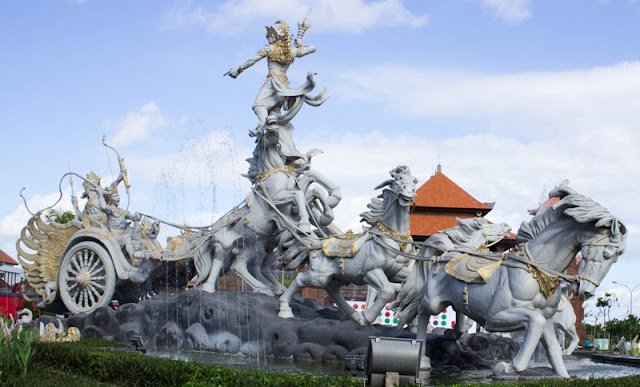 A massive sculpture of Lord Krishna driving an eight horse-drawn chariot is seen right in front of the Parliament of the “largest Islamic country in the world.” One of their currencies depicts the pictures of Lord Ganesha and Garuda. In fact, Garuda is their national symbol and Air Garuda the name of their national aircraft carrier. President Sukarno’s father used to read Koran on Fridays and Ramayan and Mahabharat the other days of the week. He liked Karna most because of his chivalry, courage, and charity. He wanted his son to be as great as Karna but also he wanted his son to be on the side of dharma and so named him Sukarno. When President Sukarno was blessed with a daughter, the weather was cloudy and so she was named Meghawati. Sukarno Putri Megawati is the present President of Indonesia. When Sukarno was fighting for the freedom of his country against the Dutch regime, he was arrested and kept in solitary confinement in a remote island. When he lost all hopes of continuing the struggle, he read the powerful writings of Swami Vivekanand in the Dutch language. That inspired him to continue the fight and he finally succeeded in liberating his country. Once when Indonesia was plagued with internal problems and Sukarno could not find solutions and spent sleepless nights, he sent his Air Force plane to his Indian friend Bhagwandas ji in Surabaya to get a few inspiring books of Swami Vivekananda. Many Indonesians bear Indian and Sanskrit names. Eg. Veera Hari Mohammed was a former Vice President, Karthikeya Mohammed is a Member of Parliament and one of the cousin brothers of President Megawati. Hindu empire Majapahit Samrajya and Buddhist empire Sri Vijay ruled Indonesia and parts of South East Asia for several centuries. 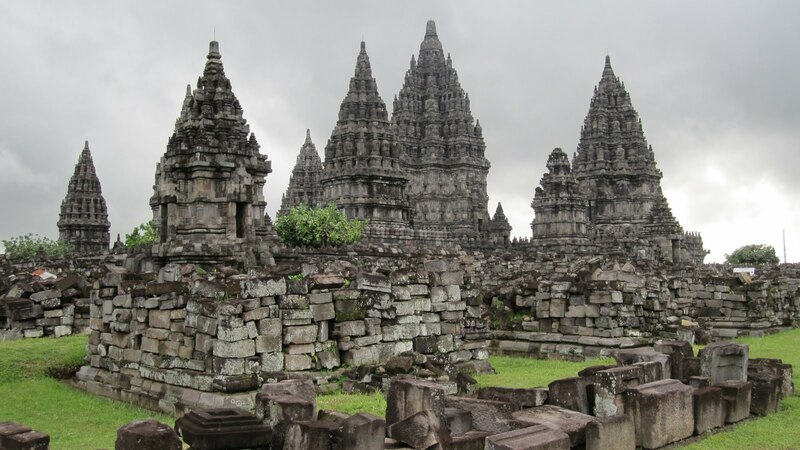 Ancient Hindu and Buddhist temples, destroyed by volcanic eruptions are being repaired and restored by the present Indonesian government. Nearly 3,000 students study different aspects of Hinduism in Bali Hindu University. This is the world’s largest Hindu University. Bali Island has a population of 30 lakhs – 96% of them are Hindus. There are another 30 lakh Hindus in Java and other islands of Indonesia. Only a shudra can enter the Inner Sanctum of a Hindu temple and clean that area. Hence many Hindus from other casts vie with each other to change their cast and do this holy job. Bali Hindus fought bravely for 300 years to keep the Dutch and Islamic invaders away from their soil. This also is a unique chapter in Hindu history anywhere. World’s largest Bronze statue of Lord Vishnu seated on a Flying Garuda is being prepared in Bali. This will be larger than the statue of Liberty in the USA. Several supermarkets and hotels will be built in the space below the wings of Garuda. Dutch who ruled Indonesia for 150 years have noted that there was not a single theft in the entire Bali island which has a population of over 30 lakhs – all of them were then Hindus. This because they firmly believe in the Hindu concept of Karma theory of cause and effect. Thus the police, Judiciary, and Jail departments have very little work. Most houses in Bali do not have latches since theft is unheard of. Many Hindu Shastras like Vedas, Bhagwat Gita, Manu Dharma Shastra have been translated into Bahasa Indonesia. Indonesia National air lines is called Garuda. Many unversites are named like Saraswati, Udayan, Gajah Mada (Ganesha in Indonesian language). 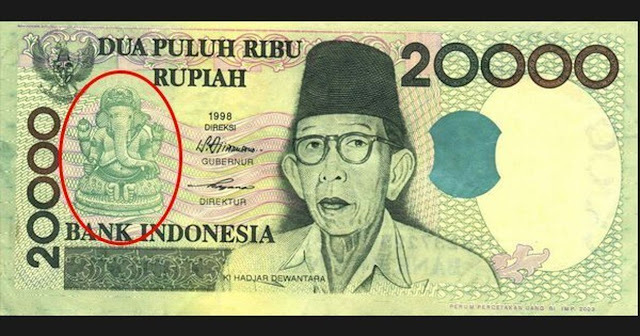 Bank of Indonesia when faced with an acute financial crisis in 1998 printed new 20,000 Rupiah notes that had an image of Lord Ganesh. In the predominantly Muslim province of Java, most villages stage dances and dramas based on Ramayana and Mahabharata during weekend entertainments. Girls from high society compete with each other to play the roles of Sita Devi and Draupadi. 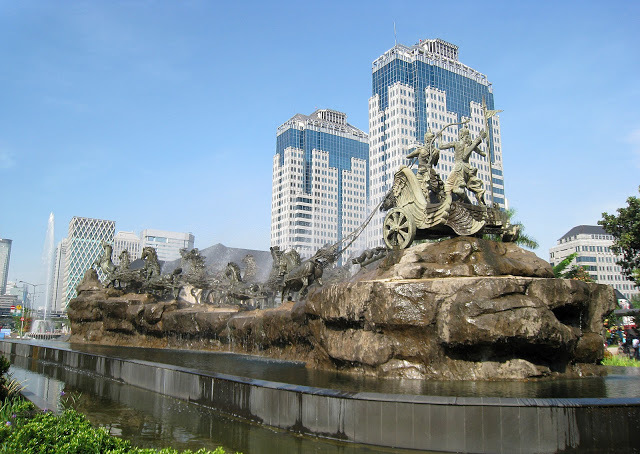 Indonesia once organized an International Conference on Ramayan. Many countries from around the world sent their Ramayana cultural troupes. Nehru government in India declined to send an artist in the name of secularism. Indonesian Muslims are immensely proud of their Hindu heritage. When criticized by other Muslim nations, they defend their Hindu practices by proudly saying that we have changed our religion but not our ancestors. Many of the aborigines in Sumatra Island have eating habits similar to South Indians. They use kadi patta and Tamarind which are the principal ingredients of Sambar. They also carry sir names like Pandian, Malabar etc. There are about 50,000 Tamil Hindus in Medan, in North Sumatra. They were brought by the Dutch and British rulers about 150 years ago. They are mostly farmers and laborers. There are about 7,000 Indians mostly Sindhis in other cities like Jakarta, Surabaya, Samarang, and Merdeka. They are very successful businessmen. Texmaco Group of Industries owned by Indian Srinivasan is one of the biggest industrial groups in Indonesia. Srinivasan is the son of Sri Mari Muthu, a daily wage earning laborer. The original name of Thailand is Siam Desh, the land of Lord Vishnu. People are 95% Buddhists now and were once Hindus. Thailand is culturally closest to Bharat. The Thai language is based on the Devanagari script. Same can be said of the scripts in Laos, Cambodia and one of the scripts of Japan. The Chakri rulers are all addressed an s Rama. The present king is Rama IX and his name is His Royal Highness Atulya Tej, Rama IX. Thai Princess Sirindhorn is a scholar in Sanskrit and has composed many Sanskrit poems. Thailand New Year day falls on 14 April. Hindus ruled parts of Thailand with Sukothai as their capital. Many ancient Hindu temples and idols have been unearthed. Thai capital city Bangkok is called Krung Thep, the city of Devas. The Thai Royal Priests are Brahmins who were sought from Kanchipuram some 1200 years ago. They still perform the rituals in the Royal Palace including the coronation ceremony in traditional Brahminical way,. Many ideal Hindu customs which we have lost in Bharat are still preserved in Thailand, eg. Royal Ploughing ceremony, boat races, Bhumi Pujan, not pointing ones feet towards elders, offering seats to ladies and elders in a busy bus or train, giving money or books with utmost respect, speaking in a low voice before elders, not exchanging money on Fridays, students kneeling down with respect in front of the teacher before entering the classrooms, worshiping river water with decorated floats with lamps etc. Buddhist monks are highly respected and people are seen kneeling down before them even on the streets. Every day early morning, monks are offered specially prepared food by the people who wait for them on the streets of Bangkok and every other city and village. Monks are always offered seats in buses and trains. Thais eat with their hands and cremate their dead like Hindus. Their traditional medical system is based on Ayurveda. Hindu Gods like Vishnu, Shiva, Brahma, Ganesh, Indra are very popular and worshipped in large numbers by Thai Buddhists. There are over 100 temples and shrines for Lord Brahma in Bangkok alone. The Erawan Brahma Temple on Rajdamri road in Bangkok is the richest temple visited daily by many Japanese, Korean, Taiwanese devotees. Many charity works are being undertaken from the income of this temple. World’s largest Ramayan wall Painting is in the Emerald Buddha Temple in Bangkok. Ramakirti, the story of Rama was composed around 300 years ago and is taught to students in schools. Many Thais believe that Rama was born in Thailand and the Indians have adopted it later. Rivers are addressed as Mother. The river that flows from the Himalayas through parts of Burma, China, Thailand, Laos, Cambodia, and Vietnam is called Maa Ganga, pronounced wrongly by French rulers as Mae Kong. Sanskrit is taught in many Thai universities. Ramayana and Mahabharata TV serials were dubbed in Thai language and shown on the national TV channel. Thais watched these with devotion. Uma Devi Temple (Maha Mariamman Temple) on Silom road attracts a large number of Thai and Chinese followers every day and more so on Friday prayers. Over 100,000 devotees join the Rath Yatra on the occasion of Vijaya Dashami which starts at 6 O’clock in the evening and passing through busy streets of the city, returns at about 4 O’ clock in the morning next day. Hardly 100 devotees in this would be of Indian origin. The rests are Thais and Chinese followers. Every Hindu temple is visited by large Thai devotees. Thailand has over 80,000 Indians – Sikh and non-Sikh Punjabis, Sindhis, UPites, Gujaratis, Marwaris, and South Indians. 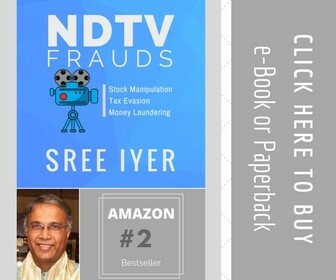 Many of them are very very rich industrialists and businessmen. Most of the tall skyscraper buildings on either side of Sukhumvit road for some 5 KMs belong to Indians. Indians are among the best taxpayers in Thailand. 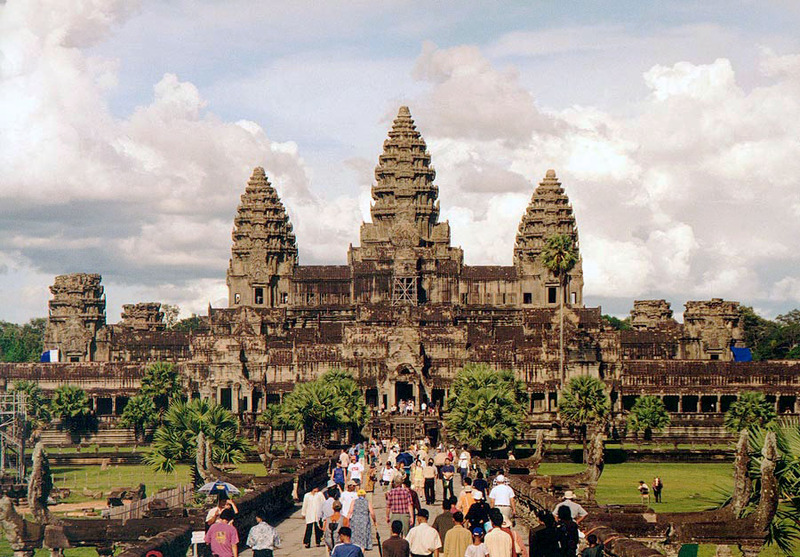 Cambodia was ruled by Hindu kings from the beginning of the Christian era until the 15th century. They remained a bulwark and prevented the Chinese from occupying South East Asia. 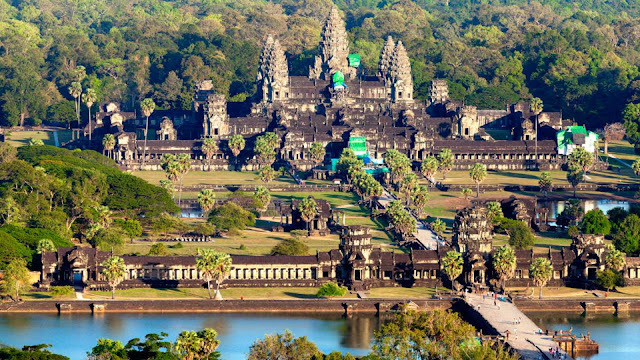 The world’s largest temple complex is called Angkor Wat. Built between the 8th and 10th century AD by the Hindu kingdom. It is being repaired and restored by Indian engineers with the help of local government and the UN. Cambodians were engaged in a long drawn civil war in the seventies and the eighties. But as soon as the war ended the new government started the Ramayana Dances, dramas and puppet show to educate the people on Cambodian art and culture. Bahasa Malaysia and Bahasa Indonesia are very rich in Sanskrit vocabulary; eg. Husband is called Swami, words like Sahodara, Sahodari, Guru, Siswa, shakti, bhakti are very common. One of the 9 sultans become President by mutual consent. President takes oath as Urusan Seri Paduka Dhuli which means he will rule the country on behalf of the dust of Sri Rama’s Paduka. Real Rama Rajya is seen here. Malaysia has its own version of Ramayan. Many artists stage dance dramas on Ramayan and Mahabharat and one can see how emotionally overcome, they weep while narrating the tragedy that befell Sita Devi when she was abducted by Ravana. Sultans are addressed as Raja Parameswara and their wives are addressed as Raja Parameswari. The second son of a sultan is referred to as Lakshmana. With an Indian population of 19 lakhs, Malaysia has the largest population of People of Indian Origin (PIO), outside the Indian subcontinent. Most of them are Tamils who migrated in the 19th century as indentured laborers. Dato Seri Samy Vellu is a very popular cabinet minister of Tamil origin. Netaji Subhash Chandra Bose conducted military training camps in Malaysia and Singapore. Many Bal Saniks are still active in many social organizations. Brand Logo of Bali Once I went to Bali for a National Hindu conference. Indonesian Hindu delegates from Java, Borneo, Sumatra, Kalimantan, Madura, and other islands had assembled at the Bali Hindu University campus for the 2-day conference. When the morning bell rang, I closed my room door and went for breakfast. One of the delegates introduced himself and told me in an assertive tone, “I am sure you are visiting Bali for the first time”. I asked him how he could say so emphatically. He said that ‘I had closed my room’. I closed my room because I was carrying a passport, US dollars, a camera, and a tape recorder. He said all the delegates who have come from different parts of Indonesia also carried valuables and he asked me to see if anyone else had closed his room. To my great surprise, all the other doors were open. At that point, the Indonesian delegate told me, ‘this is Bali where theft is unheard of’. All this is due to the influence of karma Siddhartha of the Vedic heritage. We in Bharat have forgotten our priceless legacy and the people of South East Asia have preserved them in spite of many years of separation. In Bali, I noticed one more astonishing fact. I was staying at the residence of a local Hindu leader Prof. Dr. Ida Bagus Oka Punyatmadja. He said he is a Brahmin but his elder brother who was Brahmin till last year has become a vaishya this year. I was utterly confused. In Bharat one could change his religion but not his caste. Prof. Punyatmadja clarified that among Bali Hindus the caste goes with one's profession. His elder brother was Brahmin as long as he was in the teaching profession. But as soon as he started a hotel business he became a vaishya. The mother temple of the Bali Hindus is called Besaki temple and here I saw that while the Bali Hindu priest goes inside the temple precincts for doing pujas, he cannot enter the innermost garba griha. Only a shudra is allowed to enter the garbha griha. I also found a big list of aspirant devotees who wanted to change their caste to shudra caste to serve the Lord once the post becomes vacant. In fact, this is exactly the message of Bhagwad Gita “Chaturvarnyam Maya Shrishtam Guna Karma vibhagashaha.” (The four varnas created by me are according to Guna and Karma). I was delighted to see it being practiced to its spirit in Bali Island. Ramayan, Sanskrit, Ayurveda, Hindu values, meditation, Hindu festivals, Hindu almanac, our Puranas, dance, music, sculpture, and arts remain the bedrock of the culture and existence of South East and Far East Asian countries for the past two thousand years. At times it appears that they are more proud of this culture and value systems than we Indian Hindus. Here in South East Asia Hinduism is not a religion it’s their daily routine (culture). I am sure one day every Indian will realize the value of Hinduism as a Way of living. This will enable them to contribute more effectively to their adopted countries. I appreciate the efforts of the Hindu Council of New Zealand to promote Universal values of Hinduism for the peace and prosperity of New Zealand. It is a feather in the cap of the organizers that the Prime Minister of New Zealand Hon. Helen Clerk inaugurated this 1st Hindu Conference of New Zealand. Nowadays Hindus feel shame to call himself/herself a Hindu this notes dedicated to them.